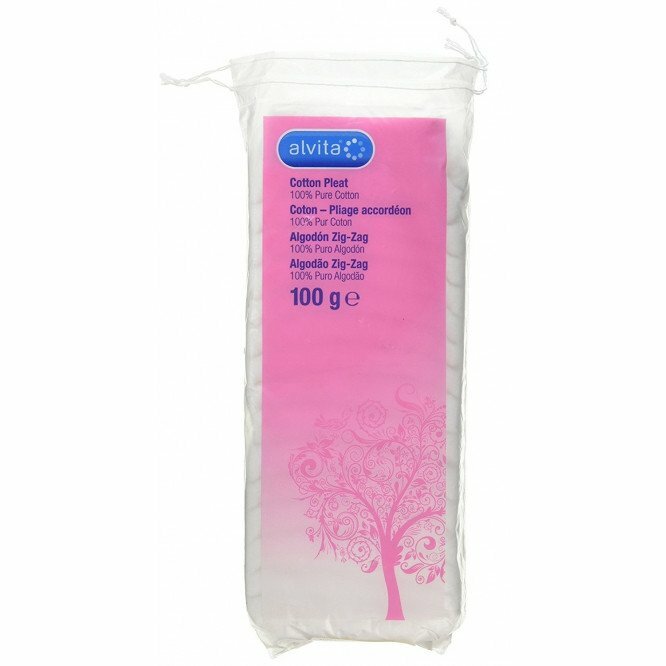 Alvita Cotton Wool Pleats are made from 100% pure cotton. An ideal for cosmetic, baby and family care as it is soft, strong and gentle. Baby Cotton Wool Pleats are specially developed to be soft and fluffy. Helps gently cleanse and dry your baby's skin.